The NCSPA attends many community events to interact with consumers and answer their questions about farming and agriculture. 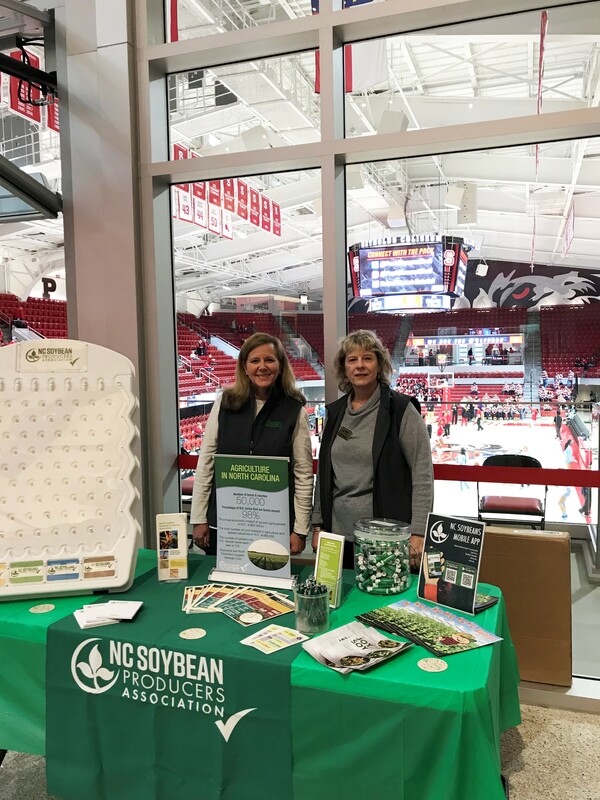 On Feb. 3, the Association had a booth at the N.C. State vs. University of North Carolina women’s basketball game to do just that. The game was sold out, with lots of buzz surrounding N.C. State as the last undefeated team in Division I basketball for both men’s and women’s teams, so naturally it was a packed house. The booth was a popular stop where fans could play a game to answer a trivia question about soy or the importance of agriculture to win a prize. Almost everyone who plays learns something they didn’t know and the NCSPA enjoys sharing a little more about what our farmers do everyday.